HAIRCARE ROUTINE! | GET STRONG AND HEALTHY HAIR | RAWR BOWS. Hello! I am not one to spend a lot of time taking care of my hair as I don't think I damage it a lot since I rarely use any heat and my most fancy hairstyle is a pony tail. That led me to not caring whether my hair was dry or unhealthy, all I did was brush it after I got out of the shower and towel dry it. As you can imagine that didn't turn out great. So, a while back I decided to start taking care of my hair and it does actually feel and look better and healthier. Here's what I do. After getting out of the shower I towel dry my hair and wrap it up in a towel. This way I get rid of all the water without using any heat. 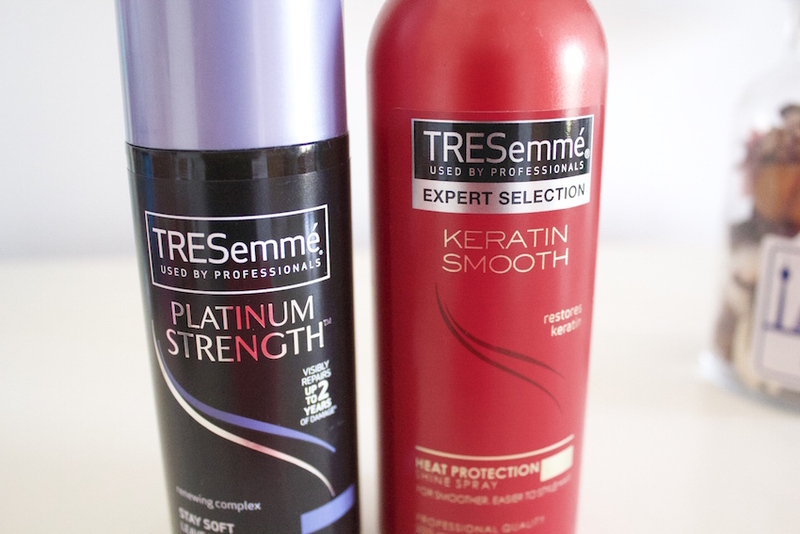 Then I use the TRESemmé Platinum Strength Lave in Conditioner, I section my hair in two and apply one squirt of the conditioner to each section making sure it's well distributed. This is meant to both repair and protect any damage and make your hair stronger. It's also heat protector so if you are planning on using heat this will reduce the damage to your hair. This leaves my hair feeling really really soft and it smells amazing. 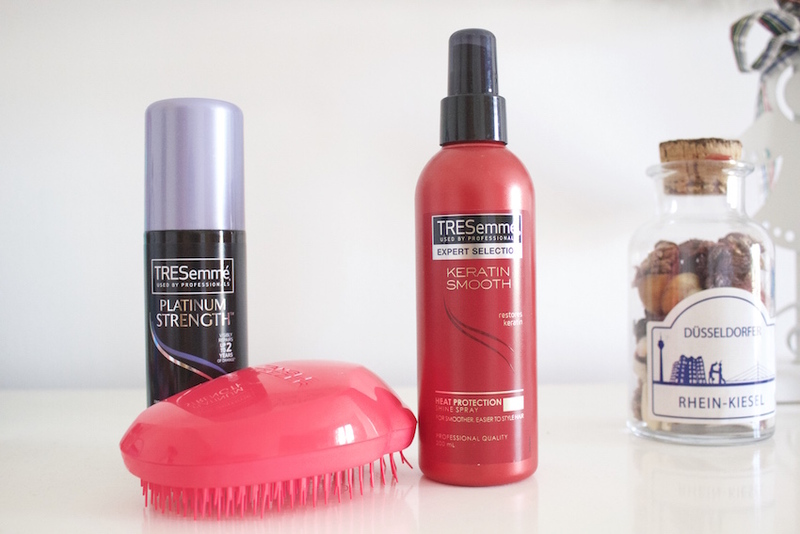 Then I use the TRESemmé Keratin Smooth Spray which as the name hints, it restores the keratin in your hair. Keratin is a very important component of your hair, it's what makes your hair soft and frizz free and it also hydrates it so that it doesn't look dry. Sometimes keratin is mistakenly related only to straight hair but that could no be further from the truth. Keratin is a protein that makes up most of our hair, whether it's curly or straight and using products with keratin will definitely not straighten your hair at all, all it will do is repair the damage and make it softer, shinier and silkier. In order to get straight hair you would have to break the bonds of the proteins but I'm not going to get into the chemistry of our hair now as that would probably bore most of you. After that all I do is use my Tangle Teezer brush to brush my hair and leave it to air dry before I go to bed. 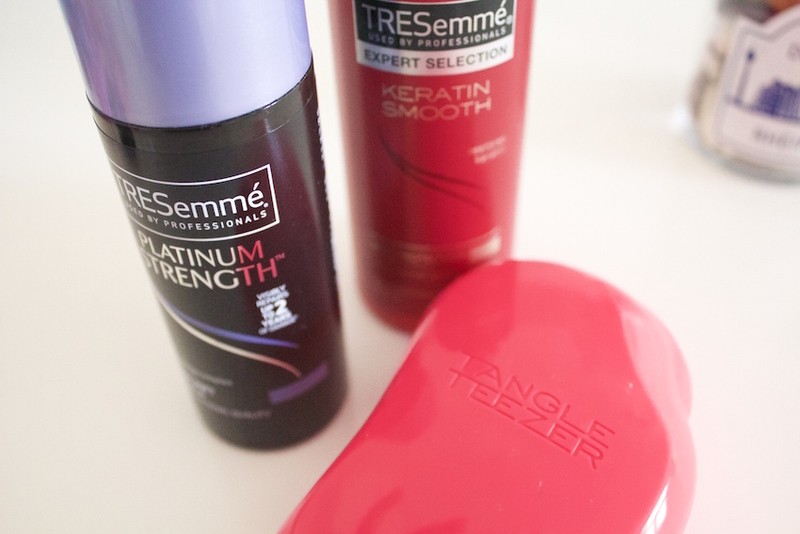 Do you use any specific products to take care of your hair?